Pregnant with Gallbladder Problems – What to Eat? For women who are having problems with the gallbladder while they are pregnant, sticking with certain foods can be helpful. For example, it is best to eat plenty of fresh fruits and vegetables during this time. 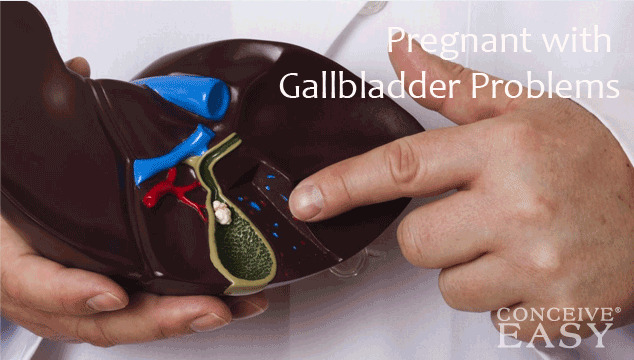 These will help the gallbladder to work better while you are pregnant. Another food group that is healthy for the gallbladder is whole grains. Pregnant women should add things like whole-wheat bread, bran cereal, brown rice and oats to their diet. These are also foods that help to ensure that the gallbladder is working at its best potential. Fish, poultry and lean meat have also been shown to help women who are having gallbladder problems while they are pregnant. Women should also add low-fat dairy products to their diet. By adding these types of foods, women will be able to minimize the symptoms that they are having. Research also shows that drinking caffeinated coffee can help to lower the risks of developing gallstones. However, this is something that should be done only in moderation for pregnant women.